The Governor of Arunachal Pradesh, Brig. (Dr.) B.D. Mishra (Retd.) has extended his warm greetings to the people of the State on the auspicious occasion of Deepawali. He wished that the festive season and the year that lies ahead be a harbinger of peace, happiness, joy and prosperity. In his message, the Governor said that Deepawali, the festival of lights inspires us all to move from darkness to light and from poverty to prosperity. May the lamps of compassion, kindness, love and righteousness be lit in our mind and heart. Let good thoughts motivate us all to fight corruption, nepotism, and ill will. We must unite and move on the path of progress and development, he said. While extending his complements to each and every citizens of Arunachal Pradesh, the Governor has also appeal to them to ensure a healthy Deepawali celebration. It is time to discard and disassociate ourselves from noise making crackers and fireworks which degrade the atmosphere. We owe it to the society to preserve its ambience and serenity from the damages caused by noise pollution and poisonous gases emitted from the chemicals of the crackers and fireworks, the Governor exhorted. This Deepawali day, we make a pledge to promote fraternity in the society and eradicate illiteracy, poverty, discrimination, and malice, the Governor said while wishing a very Happy Deepawali to all. Chief Minister Pema Khandu has conveyed his best wishes and greetings on the auspicious occasion of Deepawali to the people. Welcoming the season of festivals, Khandu expressed hope that Deepawali would usher in a future of lights and hope for the people of Arunachal Pradesh. 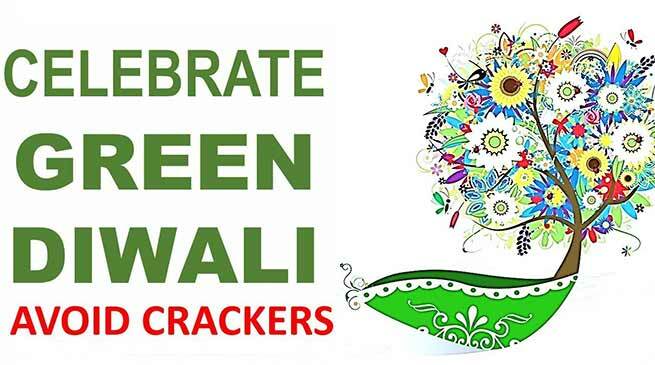 “This Diwali, let’s all light up our lives with bright ideas, innovative steps and brotherly feeling for all. Let the light we light this Diwali light up our future,” he said in a message here this evening. The Chief Minister called upon all, irrespective of religious affiliations, to inculcate the message of Deepawali into their thoughts and lives, which is ‘victory of truth over evil’ and ‘victory of light over darkness’. He also appealed people to respect nature and therefore sensibly celebrate the festival avoiding noise as well as air pollution while maintaining extreme caution in burning lamps and bursting crackers. “May this joyous occasion be enjoyed by one and all,” he added.